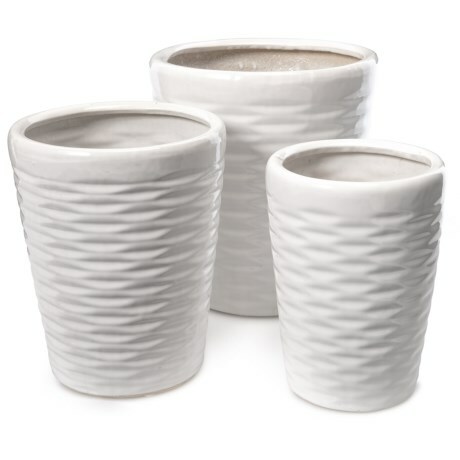 Ceramic Flower Pots - Set of 3, 11.8? 10.6? 9.4? CLOSEOUTS. Beautify your living spaces with the elegant charm of these Galt Wave flower pots, crafted in textured and glazed ceramic. Available Colors: WHITE.